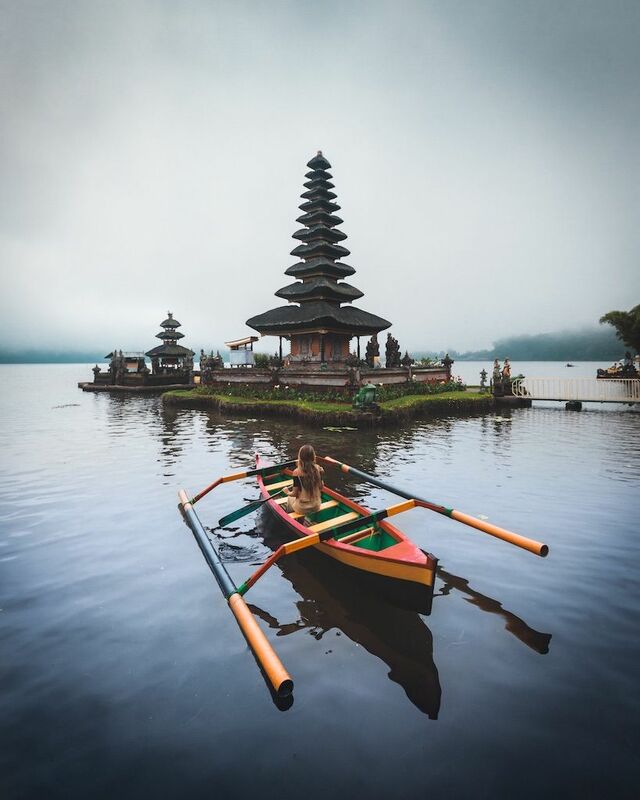 Bali, the Island of the Gods, has long been one of the top travel destinations in Southeast Asia. Now, social media platforms such as Instagram are attracting new travelers to the island’s astounding beauty. 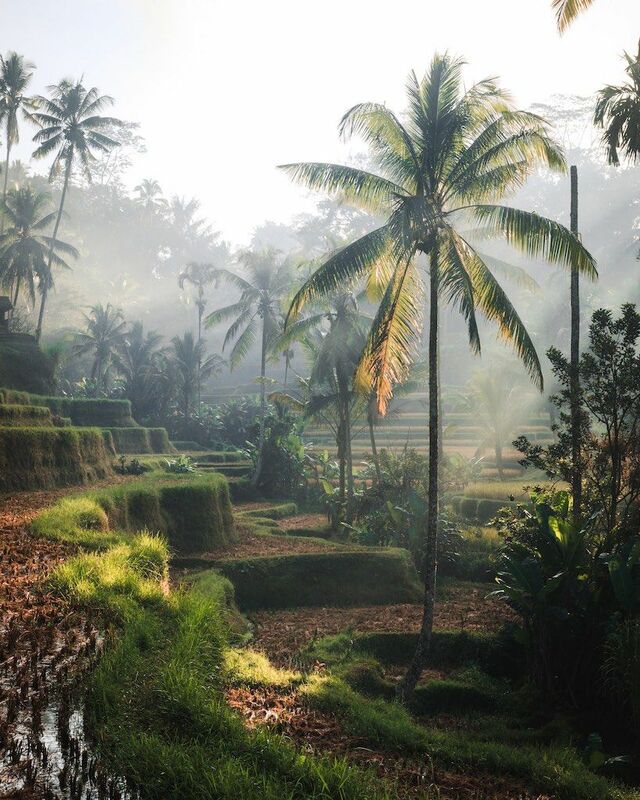 Bali is rich in culture and history, and it has some of the most amazing and diverse landscapes in Indonesia. These are just a few great spots that will make carrying your camera all the way to Bali completely worth it. 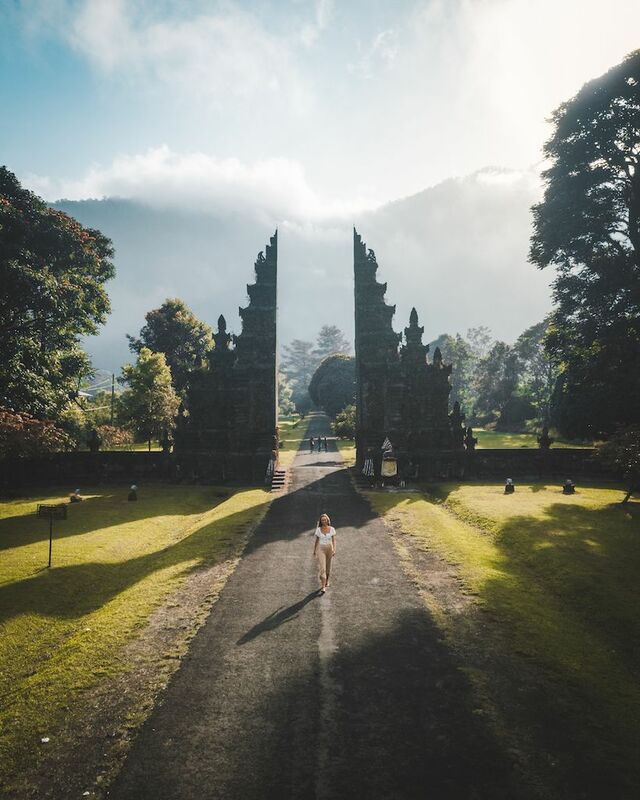 One of the most famous photo locations in Bali, the Handara Gate actually marks the entrance to a golf course. Traditional Hindu gates symbolize the transition from the outer world into the temple. These structures play an important part in Indonesian culture, particularly in Bali, Java, and Lombok. Just a few minutes drive from Handara you will find the Bratan Temple, which is best seen at sunrise. If you go on a clear day, the sky lights up the lake below, creating perfect reflections. 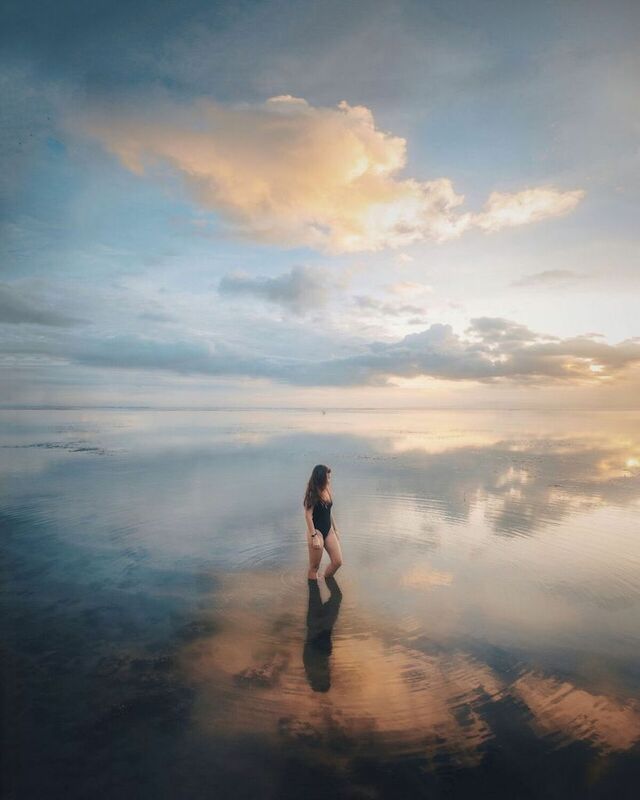 An excellent sunrise location in Bali is Tegalalang. The rice terraces really encompass the beauty of the island. If you can catch the light rays coming through the trees just after sunrise, you are in for a treat. 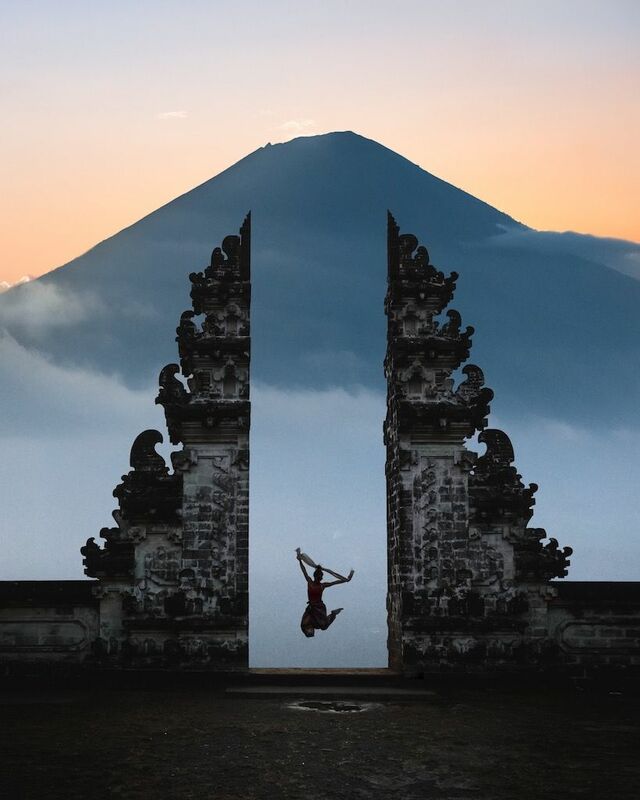 Nicknamed the stairway to Heaven, Pura Lempuyang sits opposite the almighty Mount Agung. On a clear day, you can see a perfect view of the volcano through the gates. 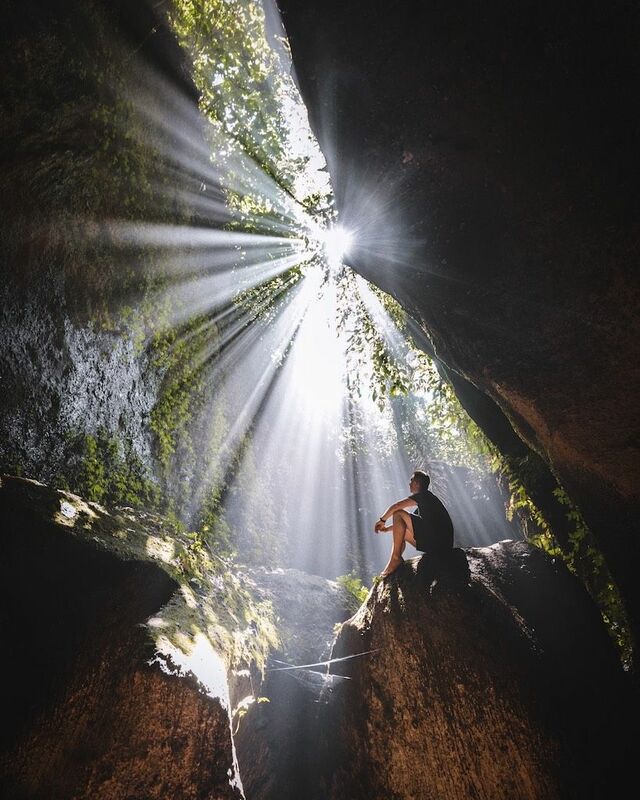 Get to the waterfalls at Tukad Cepung around 10:00 AM to witness the light rays pouring through a small hole in the roof of the cave. If the conditions are good, you’ll be able to capture a magical image. 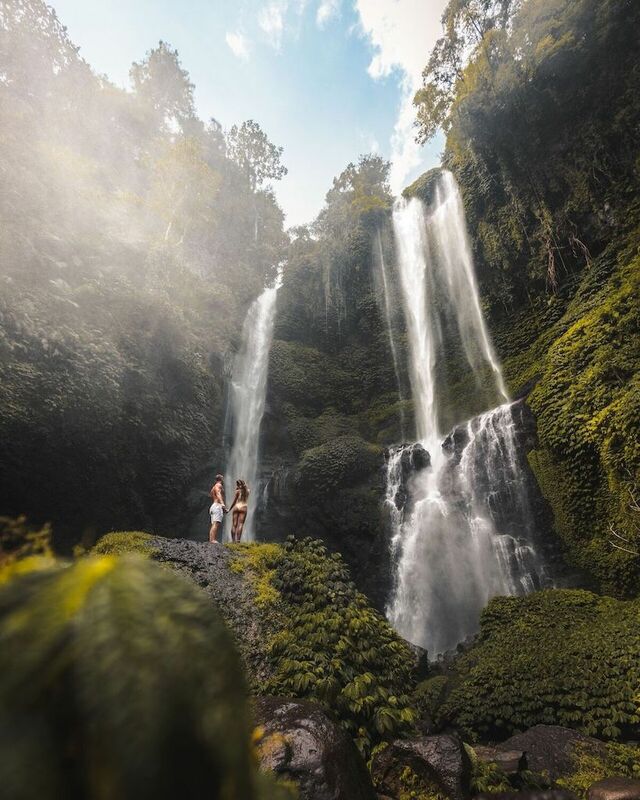 Bali is home to scores of waterfalls, but Sekumpul - in North Bali - is one of the loveliest. Be prepared for an early start to capture the waterfall before tourists start flocking to the place. 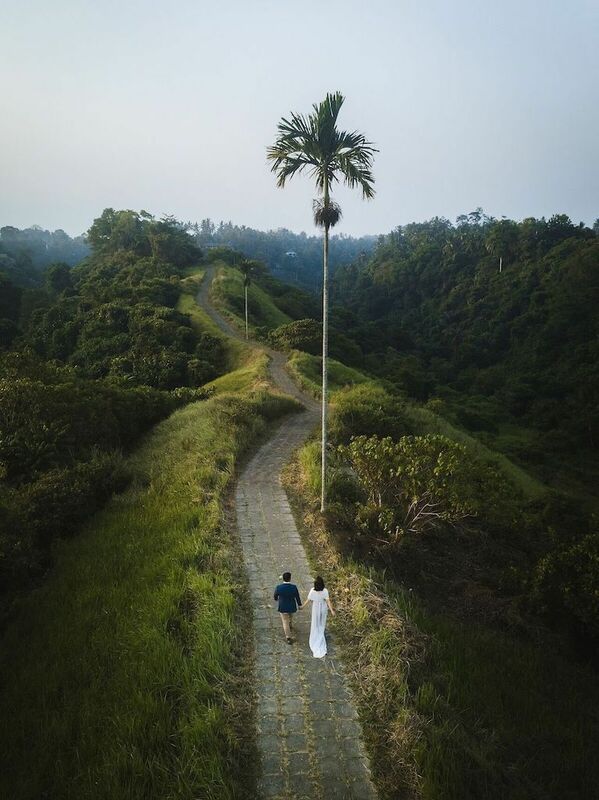 Campuhan Ridge is an easy nature trek just minutes away from downtown Ubud. If you go there during sunset, you’ll get great landscape pictures. 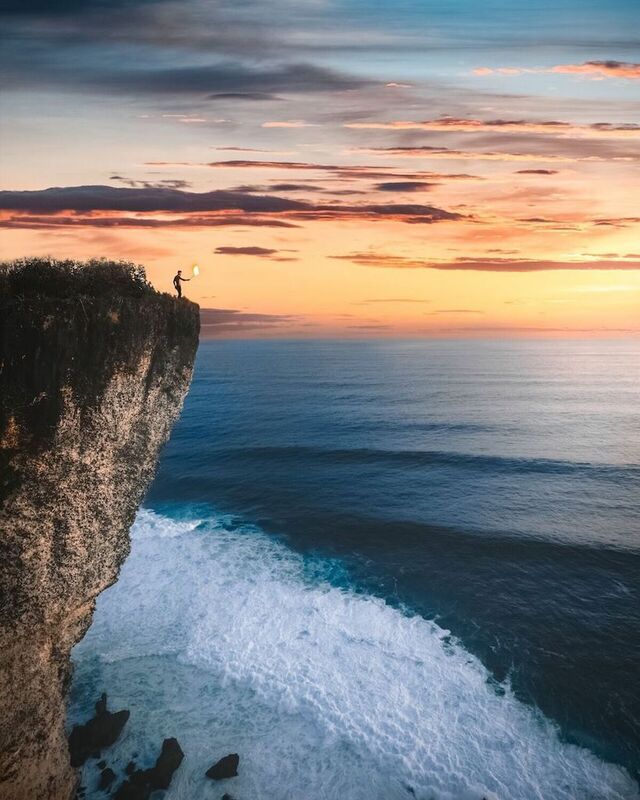 Set high above the waves of South Kuta, the Uluwatu Cliff is a wonderful place to chill in the evening and watch the sunset with a picnic at hand. 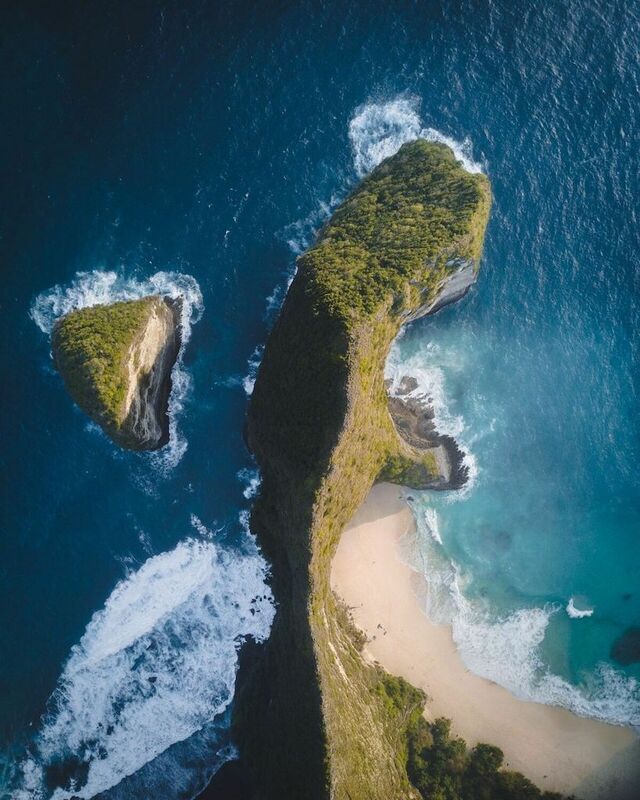 Nusa Penida is just a short boat ride from Sanur Beach. This island is less crowded and developed, and some people consider it to be how Bali was 20 years ago. Head to Kelingking and walk down the path to the beach below to catch the sunset. Karang Karang is a popular spot to watch the sunrise at Sarung Beach. From here, you can watch Mount Agung on a clear day, and it’s a nice place to take a stroll along the beach.